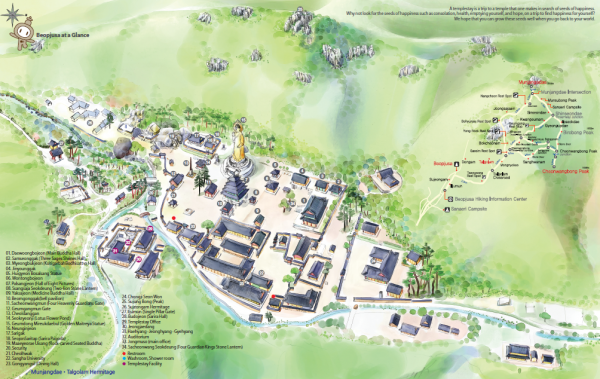 With 1,500 years of history and tradition, this ancient temple is the most famous temple in the Chungcheongdo Province, and has the highest number of treasures and cultural assets, thus serving as a rich repository for Korean Buddhist culture. A poet once praised the temple, "When I groan in anguish because of travails, I would like to drop by the temple to embrace the stone lantern that lights up the world and the history of Shilla." So when you wish to free yourself from sorrow, pain or desire, come for a visit to the temple and you will feel a great sense of comfort. The natural beauty of Songnisan Mountain, with its refreshing sounds of waterfalls and water dropping, will fill your eyes with tears of peace. The valley's stream, filled with fish swimming lazily and the warmth of the sun shining onto the wooded road, these will console your tangled mind and free your body of all afflictions. 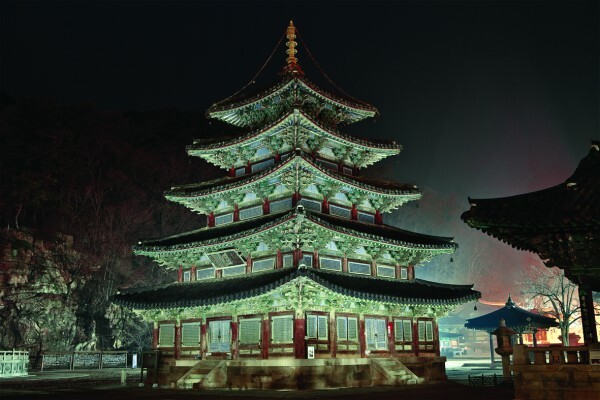 Palsangjeon is the only wooden five-story pagoda in Korea built in the Chosun Dynasty. 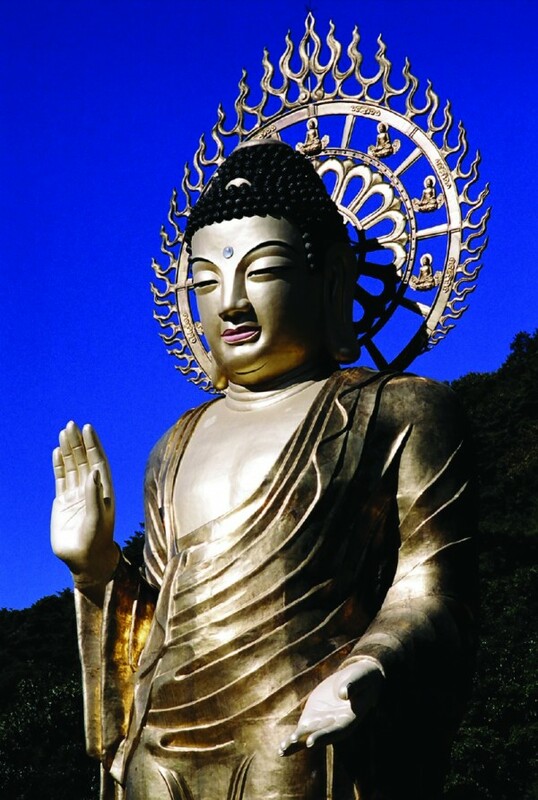 It was named after a total of eight painted panels depicting the life of Buddha. This 33-meter-high, 160 ton bronze statue is coated with about 80 kilograms of pure gold. It was built in 776 during the Shilla Dynasty and was considered the biggest in the world among its kind at that time. This structure is believed to have been built in the year 720 during the Unified Shilla Dynasty. 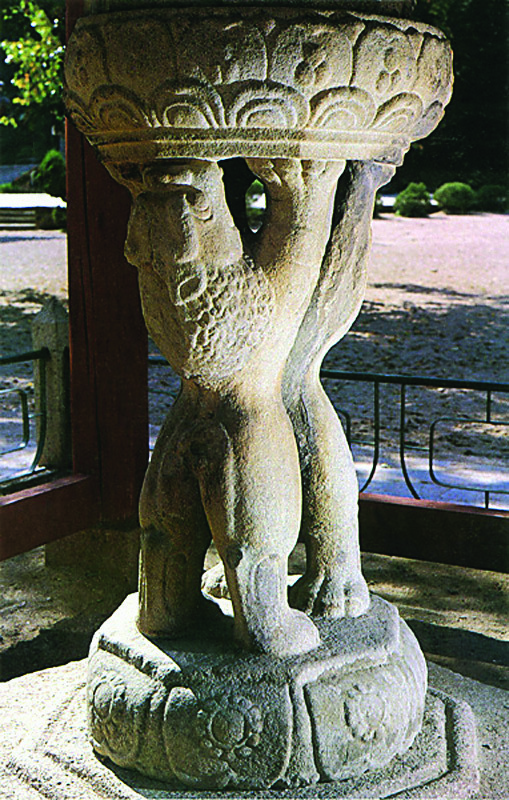 It is about 3​.3m tall, and looks as if two lions are facing each other holding a stone lantern. 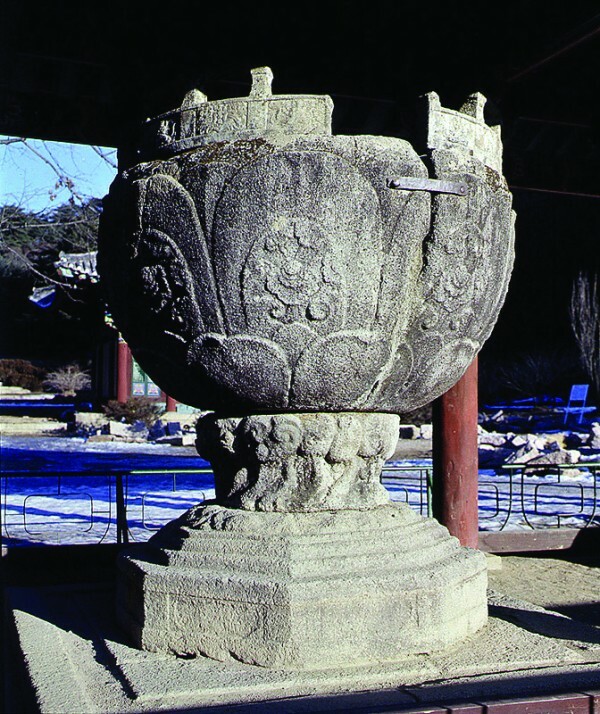 Seokyeonji is a granite stone work of the United Silla period. Its height is 1.95m with a circumference of 6.65m. It is a small stone mortar once used to contain water with a lotus in it. 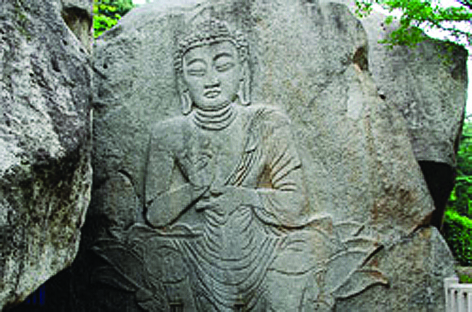 The image of Buddha carved on the rockwall at Choraeam Hermitage features the unrealistic, abstract characteristics of a round face, slightly open eyes, thick lips, straight shoulders, and a super-slim waistline. He sits on a lotus flower opened up wide like a stool, and rests his feet on a stone table shaped like a half-carved lotus flower.